Easy Retail For You is an Inexpensive point-of-sale solution for all retail stores. The highlights of this software are time-saving and help in all functions of your business. 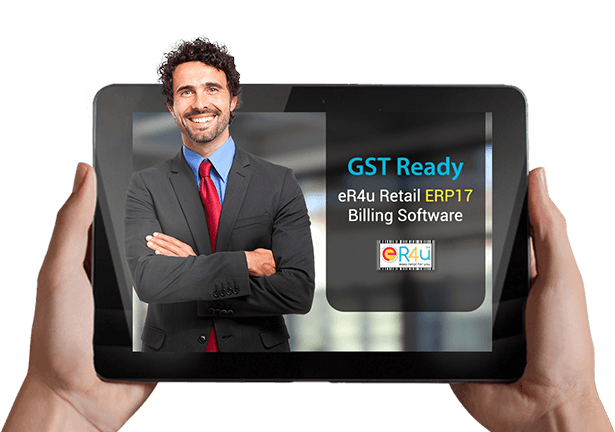 Maintain your store finances aligned with eR4u - Zopper Billing Alternate. You can create GST compliant invoices easy and efficiently. Give it a try here! The CRM in eR4u lets you stay in contact with your existing customers by sending offer SMS and emails to promote your products and services. You can manage your inventory with flexibility and change bulk prices of your products. eR4u dashboard allows seeing an overview of your daily sales and business activities in your store. All these attributes come up at very low price saving your money and helping you to grow at a faster pace than Zopper Retail Software. See Here! eR4u POS is an all-in-one billing software that automates and simplifies your day-to-day business. It is easy to access from multiple devices, users and location thus it makes Easy Retail For You an elite solution for all types of retail store business. With any Lazor or barcode printer, you can generate barcode faster than any POS software. The expertise of eR4u - Zopper Billing Substitute technical support team will assist you to solve all your retail business queries while using the POS software. Easy Retail For You helps retail businesses improve their profit ratio and streamline purchase/sale operations. eR4u - Zopper Software Alternate can also be used from any remote location in India.